John is the only Apostle who did not suffer a martyr’s death. He was human just like the rest of us, and he had his faults, but there was a spiritual connection and understanding that John had with Jesus that the other 11 did not. John and his family were well known in Jerusalem. He must have been liked by the Jewish rulers as well because he (Had to have been John!) was witness the trials of Jesus during the night of his arrest (John 18:15). John is then present at the crucifixion with Mary, the mother of Jesus. Because there was no Joseph, Jesus was traditionally and culturally responsible to take care of his mother. John was more family to Jesus than his own brothers and sisters, and on the cross, Jesus gave John the honor of becoming Mary’s adopted “firstborn” (John 19:26-27) to be responsible for her until her death. John carried out his appointment with love and dedication. 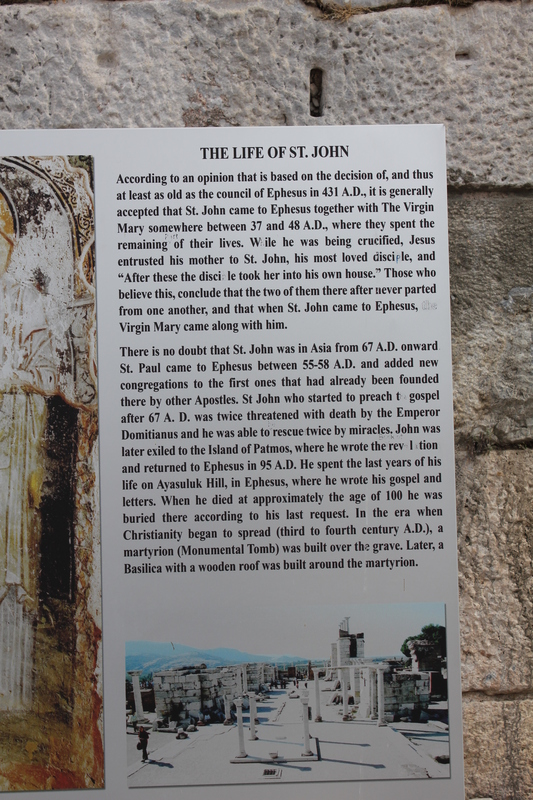 John the Apostle also died and is buried in Ephesus at approximately 100 years of age, and a huge church was built over his grave. Emperor Justinian and his wife, Empress Theodora of the Byzantine Empire replaced the large, simple church with a huge, Christian, Byzantine basilica. Based on the ruins ( earthquake), it looked quite impressive. It is said to be the first Christian church built in the form of a cross. We had a great time searching through the ruins. 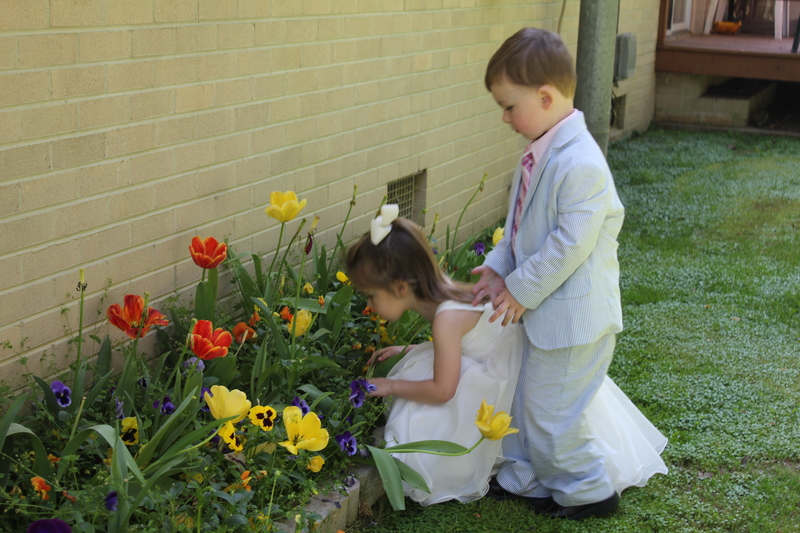 There is even a Princess video that shows Ammon and Carter happily running and investigating their surroundings. 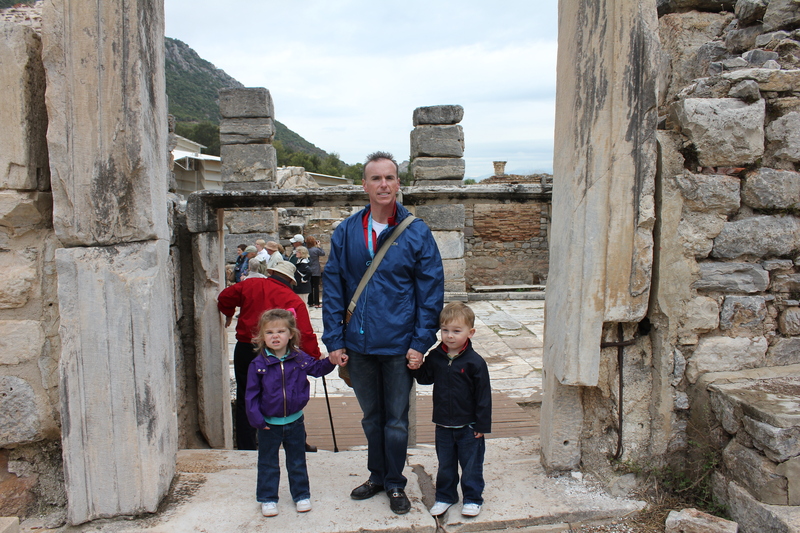 The whole experience at Ephesus was excellent. 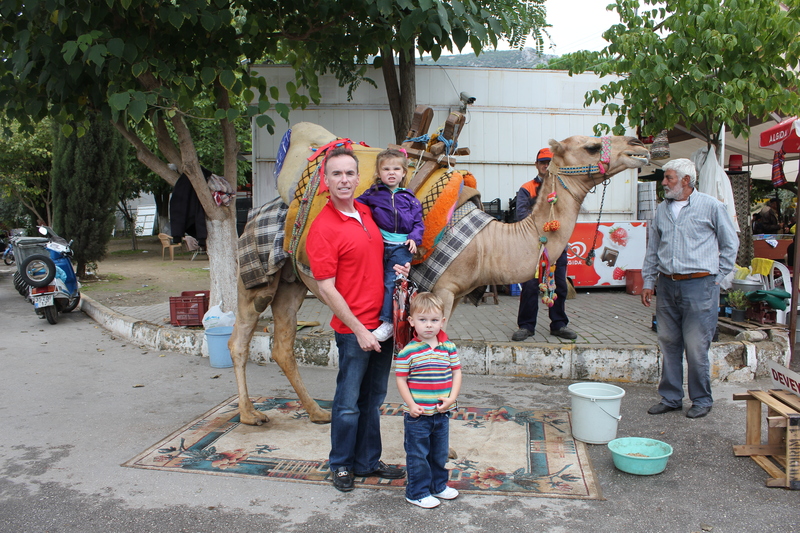 We even got to have our pictures taken with a camel before we entered our tour bus to return to the port of Kusadasi. 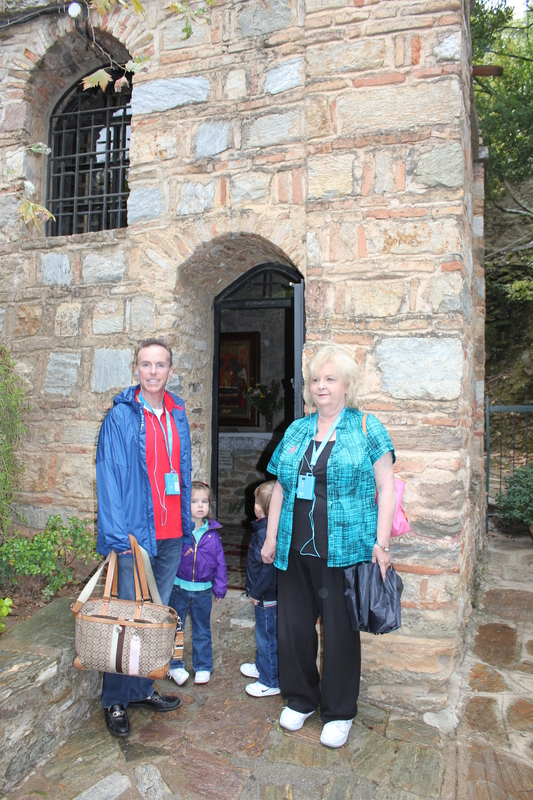 My most memorable and spiritual experience while we were in Ephesus was at the house of Mary the mother of Jesus. It is a very small church that still has services. We did not have a service there, but we were allowed to enter and pass through. The five of us were just about all that could fit at one time, and we passed through quite quickly. However, while I passed through, I felt such happiness and peace, and it dawned on me that this lady DESERVED the happiness and peace she experienced the last years of her life. She had lost her husband, Joseph. 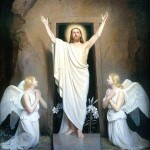 When her eldest son was 33, he was crucified for no reason yet rose from the dead and ascended into heaven. She knew since before his immaculate conception that he was the son of God, but can you imagine how she watched this miracle that she bore live, die, be resurrected, and ascend into heaven with such anxiety? After helping establish the church in Acts 1:14, she and the Christians in Jerusalem were persecuted, so John, her son appointed by Jesus, took her away to finally end up in Ephesus. It is there that she died peacefully. I did not say a word how I felt the day I was at her house to ANYONE except to God through prayer. However, several evenings later, Sean and I were jogging. 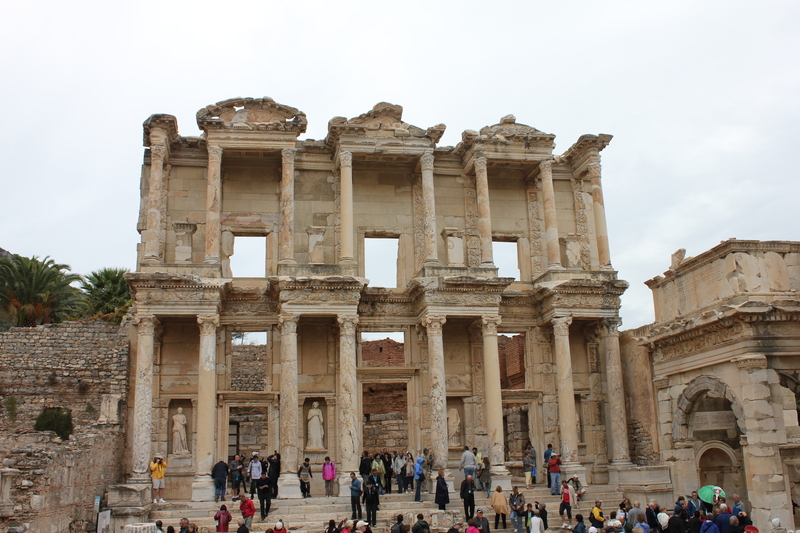 We reflected back to Ephesus, and while we were jogging on the deck of the Star Princess, Sean said, “You know I had such peace while we walked through Mary’s house!” I grinned and said, “You know, so did I!” Coincidence folks? No, it’s the Holy spirit working through the believers and followers of Jesus Christ, the son Mary bore. 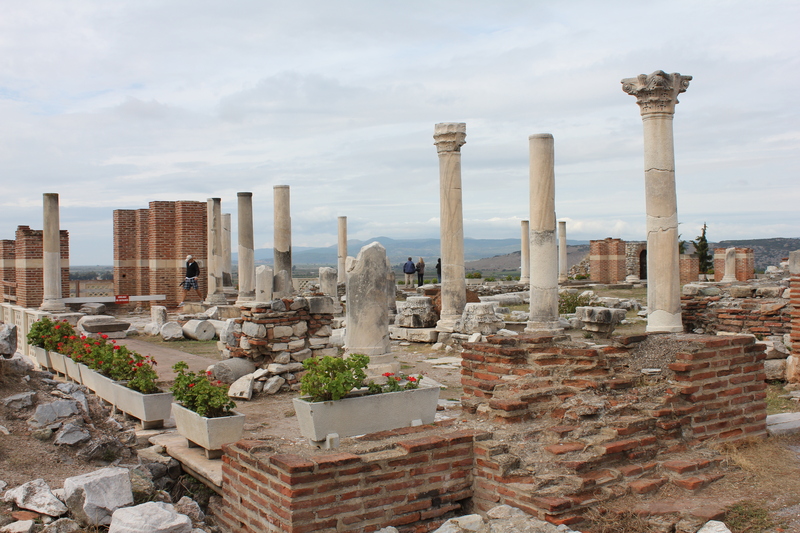 Our trip to Ephesus/Kusadasi, Turkey last October entailed learning how the Mediterranean Sea has retreated in 2,000 years and Bible history. Since the time of Paul the Apostle and the Apostle John, the Mediterranean Sea has retreated some 14 miles back to the port of Kusadasi. The people journeying to Ephesus via the Mediterranean would have ported very close to the Temple of Diana one of the 7 Wonders of the Ancient World. After all the years of fires, rebuilding, earthquakes, rebuilding, the temple was never reconstructed. In an open field there, is a single column remaining that represents the magnificent temple. 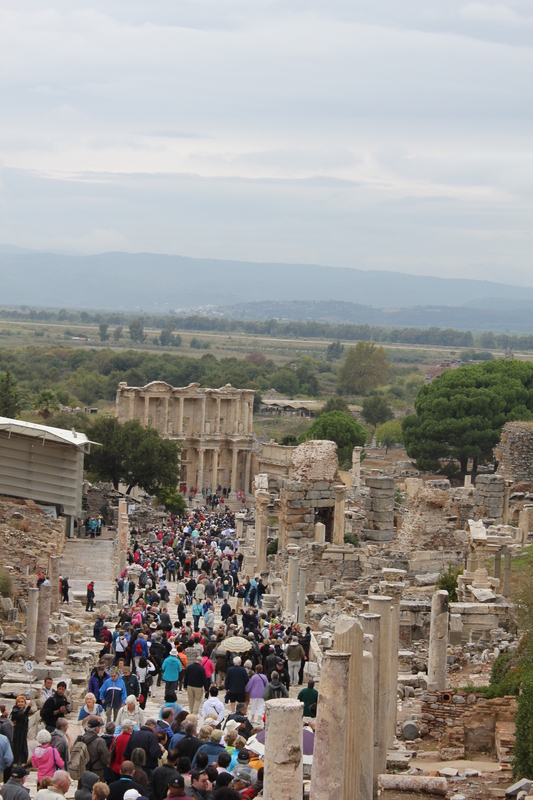 Ephesus was built on the side of a mountain. The tour began at the top of the city, and we worked our way down. 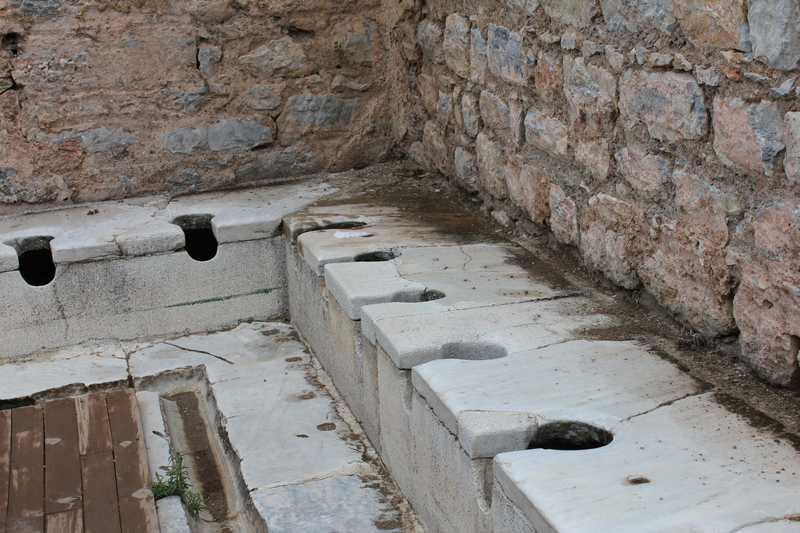 It was so amazing to see the ancient roads, the ancient latrinum (bathroom of toilets) of the rich, and the amphitheaters. Antony and Cleopatra also “hung out” in Ephesus for a while. While I was there, I learned that these two conniving love birds had Cleopatra’s sister, Arsinoe, murdered in Ephesus. Ammon and Carter spent their FIRST excursion without a stroller. 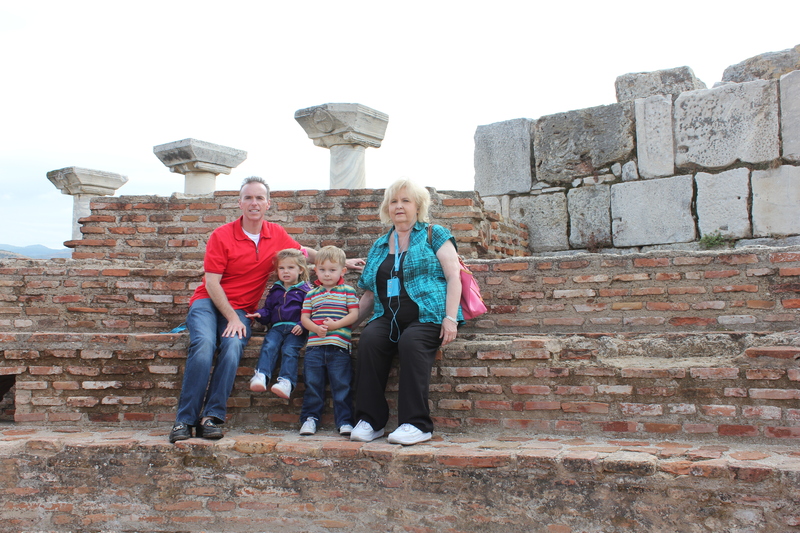 They did great, and it wasn’t easy for their little legs to make it over two hours of touring the ancient ruins. Carter and Ammon’s 3 year old class from preschool along with the school’s four year olds sang at church yesterday in honor of Earth Day. The song, “God saw that it was Good” was the perfect title to magnify the creator of this wonderful terrestrial ball. Helping Carter and Ammon learn to memorize the song was something new for us. We are so blessed to have two children with such good minds and bodies. Carter, who doesn’t like change, had a hard time lining up and going down to the stage to sing. As a matter of fact the director (Kathy Lookabill) of the preschool and fellow church member with us, sent an usher down to get me in the congregation so I could come back to the group and give support to Carter. Kathy said to me, “Why don’t you just walk beside him and walk in with us?” I agreed, and Carter got better. As you can see from the video, I had trouble remembering how to focus and zoom in. I thought it was automatic, but it was manual (LOL). Okay, I mentioned that I was able to walk in (it was an honor) with Carter and Ammon. The children sang, I zoomed, I focused, and I sang with the children. Several hours later when I finally finished the video, I saw something I had not seen because of all the “camera crap”. When I finally focused in, Carter and Ammon were holding hands. I didn’t cry, but it made me a little “misty”. I was very proud of both of them. We are so blessed to be members of a congregation that is an entertaining and interactive Christian church which is Christ-centered like Christ United Methodist Church. 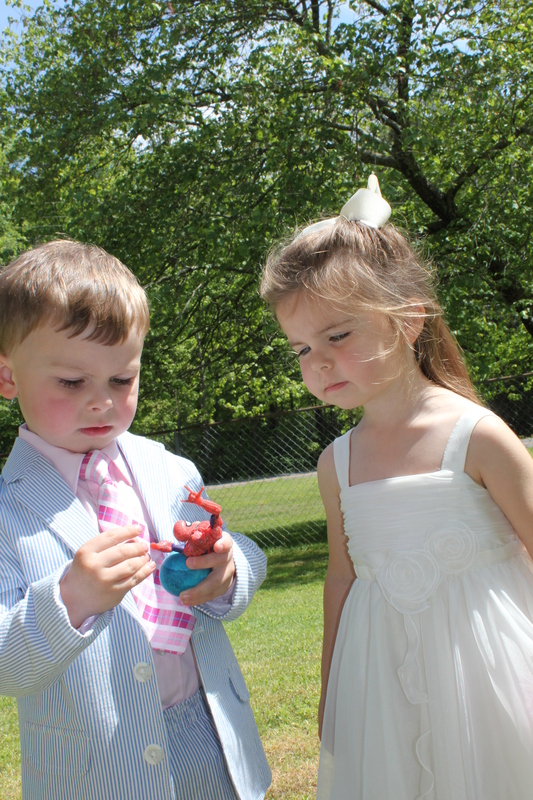 We were first attracted to the preschool program, and now we are engaged in the congregational atmosphere as well. 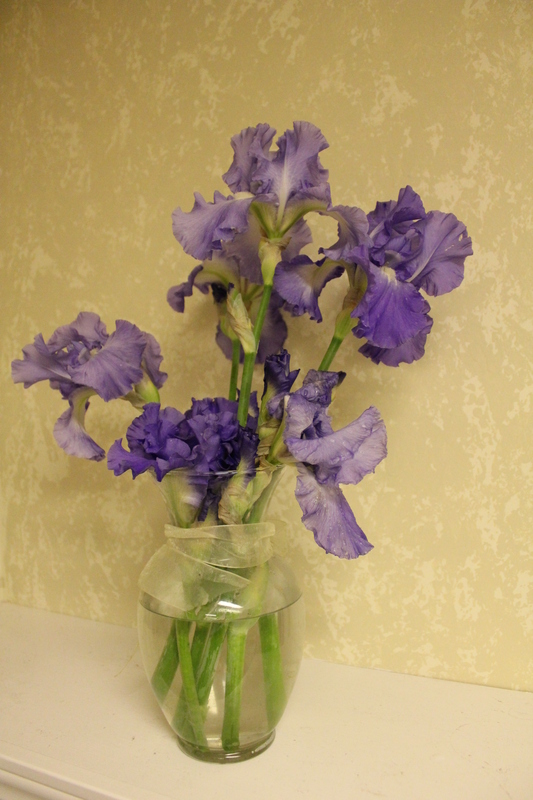 Yesterday (Saturday April 14) there was a Spring Fling at the church. It was so fun! 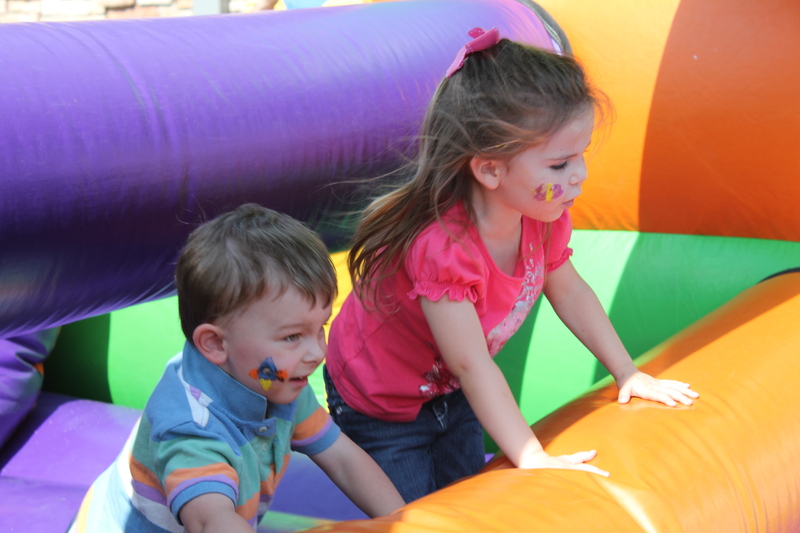 There was no petting zoo this time, but there was still face painting, animal balloons, regular balloons, inflatable obstacle courses, a climbing wall, and all the free hamburgers, hot dogs, desserts, and beverages you could hope for. Carter and Ammon had a grand time, and we had a great time watching them. Because our Jesus was resurrected, we know that we will be resurrected as well. Thank you, God for sending us your son and our savior to take on our sins on the cross at Calvary. Thank you, Jesus, for loving us enough that although you were without sin you became sin for us so that we may stand sinless before God’s throne in the day of our resurrection.